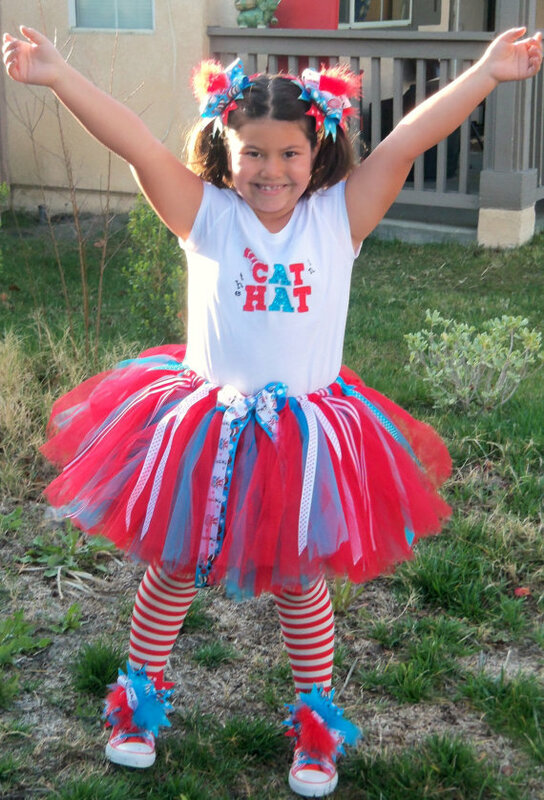 This tutu set includes the tutu and feather headband inspired by Dr. Seuss Thing 1 and Thing 2 Characters. The tutu is very full and perky, and has around 100 yards of premium quality nylon wedding tulle. 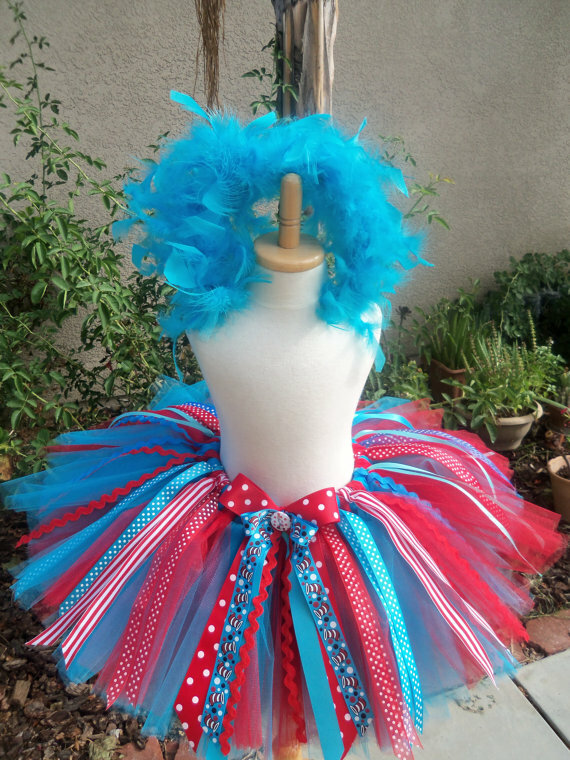 It is a custom made sewn tutu NOT TIE-ON TUTU, made in your choice of size from Newborn-6x. Made with a very generous amount of materials and tulle and they are sewn to create the maximum fullness and poofines the waistband allows...The tutu features shimmery red tulle, and shimmery turqoise tulle layers, alternating to create a very fluffy look. This is the turqoise dominant version of this design. The headpiece is a headband that has a turquoise blue chandelle feather boa that is hand-sewn all around it and makes the perfect finishing piece of this set. Gift Box Note : Your tutu will arrive in a very roomy box, safely snugged between layers of tissue papers so if you'd like to give it as a gift, we have already done the packaging for you. 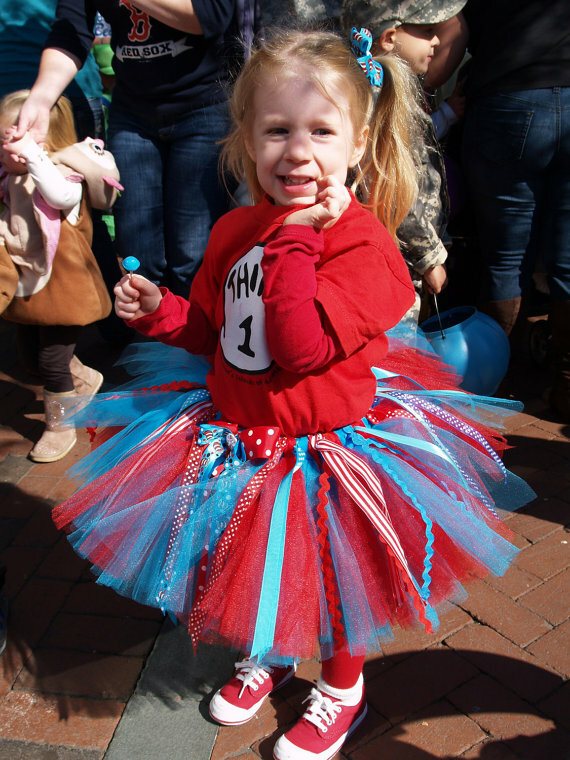 Your princess will absolutely love how she looks and feels in this fun tutu. This item is custom made in the US. Please allow up to 15 business days for your order to be created, plus shipping time.